Massive Passive Stereo EQ — Manley Laboratories, Inc.
"With its innovative circuit design, feature set, stunning audio clarity and its sound, the Massive Passive is clearly in a league of its own." "...either I am losing my touch, or this is the best outboard EQ I have encountered." "Do not pass go, do not collect $200, go directly to your dealer and buy it... NOW!" "An immediate classic piece of gear; a Pultec on steroids; a must for anyone working in the analog domain." "It's been a long time since an EQ really brought on a bad case of gear lust, but the Massive Passive has." "If you want to take the audiophile experience to the next level, this is your tool." 1) How does the Massive Passive compare to other high end EQs? It probably can't be compared. In fact, it is so different, that perhaps we shouldn't have called it an "equalizer" so that people wouldn't expect that it is comparable. Because the Massive Passive has 3 knobs per band, experienced engineers expect that it would be similar to conventional parametric EQs. However, the "Massivo" is "passive" (hence the name) and because it is a parallel design and because it provides entirely different shelf curves, it is essentially a new breed of tone control. The controls are different in use and the sound is remarkably and refreshingly different. Are comparisons really necessary? 2) Should I replace my favorite EQ with a Massive Passive? We hope your next favorite EQ is the "Massive" but don't sell off your current EQ yet. Each will do things the other doesn't, and the combination may be the ideal chain. You may discover that the Massive excels at major tasks and normally results in an "unprocessed", "natural" final sound but may not be so great at narrow Q notches or "bumps". Your favorite EQ will probably be more suited for touch-ups and little details but will tend to show its personality if used for more than 3 or 4 dB of boost or cut. 3) What is the Q range? In basic terms, the range is about from 1 to 3 but... Again, this is not a conventional parametric and doesn't have a conventional Q knob. It is called "Bandwidth" on the Massive to differentiate it from "Q" and hopefully allow people to relate it to the "Bandwidth" control on Pultecs. To provide a normal "Q" control would require an "active opamp circuit" and cannot really be done in a purely passive design. The "Bandwidth" control is similar to "Q" but will interact with the "dB" control and does not have the wide range of most Q controls. Perhaps, more accurate names could have been "Damping" or "Resonance". However, the control range is musically useful and in many ways more natural than conventional "Q" knobs which are electronically contrived both in circuitry and sonically. Also the"Bandwidth" is extremely useful in "Shelf" modes which is unique and essentially a new EQ control that allows Pultec-like phatness and phresh "air". 4) What is the primary intended application? Music...this EQ is equally suited for tracking, mixing and mastering. It is intended as a primary EQ that you can use as a first choice for almost everything. It was also designed to sound different from other EQs so as not to be just a slightly differing flavor from your current parametrics and console EQs. Vive la difference. 5) Is it a real "parametric EQ"? It depends how one defines "parametric EQs". We call it "quasi-parametric" or "passive-parametric" because of the difference between "Q" and "Bandwidth" knobs. We define a "true parametric" by George Massenburg's original description which was a non-interacting continuously variable boost/cut, frequency and Q on bell curves. The Massive uses a switch for frequency, allows shelf curves and the "dB" and "Bandwidth" controls interact and even the 4 bands interact. But it does have 3 knobs per band, if that is your definition. 6) Aren't the various interactions a problem? No..... This is why the Massive Passive tends to sound "natural" and "organic" and other EQs tend to sound electronic and synthetic. Interactions are natural and part of real life and the physics of sound and music. It may require the user to learn a little and may result in some bizzarre "looking" knob settings but the proof is in the listening. 7) Can I order a "mastering version"? ...WITHOUT breaking your bank account, thanks to these interesting mechanically detented knobs for the GAIN and BANDWIDTH controls! These knobs are of our own design. They are a clever two-part metal design using a ball and spring detent system. They ensure repeatability and a good, positive feel, without the incredible cost and space problems tons of Grayhill switches would have caused. We have also custom tailored the FILTERS in the Mastering Version specifically for Mastering purposes, moving them lower and higher than the normal version, with mastering engineers specifically in mind. The slopes are all 18dB per octave on the mastering filters except for the highest 52kHz Low Pass filter which has a 30 dB/octave slope. If you are looking for drastic effects (like telephone sounds) then get the normal version. These filters are really geared for mastering engineers. Additionally, the Master Gain Trim controls in the Mastering Version are true 11 position 1/2 dB stepped Grayhill switches set up for a range between -2.5 to +2.5 dB of master gain trim. This allows more confidence in left/right matching and calibration. The gain change voltage divider occurs before the final tube amplifier stag and after all of the passive EQ circuits. The best advice is, before you decide - or even form an opinion - about whether to go with a normal or mastering version Massivo, is to use a regular Massive Passive for a session or two in your own room. 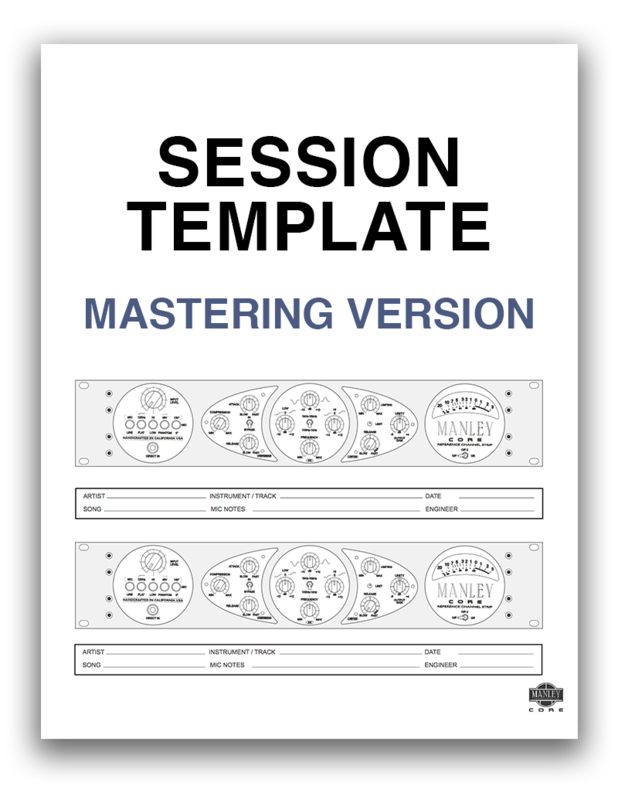 We have seen in the past that the only engineers who have asked about a mastering version had yet to try the Massive. Using your previous extensive and intensive experience with other EQs may be a mistake, especially if you expect the Massive Passive to be roughly similar to them. It isn't. Please, try it first, then decide.